Mobile World Congress is just around the corner, and it looks like LG is trying to make a splash before the stampede of news and new devices come flowing out during the show. Yesterday they announced three new phones, and today, a fourth: the Optimus 3D Max (or Optimus 3D Cube if you're in Korea). OS: Android 2.3 Gingerbread, Android 4.0 (ICS) update "shortly after launch"
The phone checks in at 9.6mm thin and 148 grams. Obviously, as successor to the Optimus 3D, it too will be glasses-free, and the company touts the phone's ability to edit 3D photos and videos. 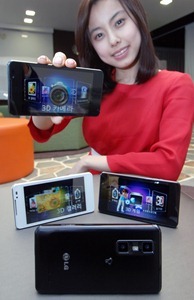 It will be available in Korea in March as the Optimus 3D Cube, and will "gradually roll out in other markets starting in Europe." 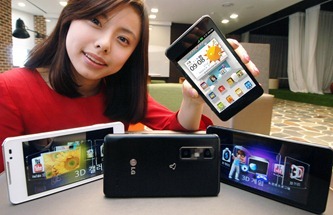 SEOUL, Feb. 22, 2012 – Following in the footsteps of last year's glasses-free 3D smartphone, LG Electronics will publicly unveil the Optimus 3D Max at the 2012 Mobile World Congress (MWC). With powerful 3D technology and sleeker design, the Optimus 3D Max provides a complete 3D entertainment platform and marks a big leap forward in the ever-expanding 3D ecosystem. "The Optimus 3D Max was born from LG's constant efforts to bring user entertainment experience to a higher level," said Dr. Jong-seok Park, President and CEO of LG Electronics Mobile Communications Company. "The introduction of the Optimus 3D last year ushered in a new era for smartphones and Optimus 3D Max is real proof of LG's commitment to portable 3D entertainment." 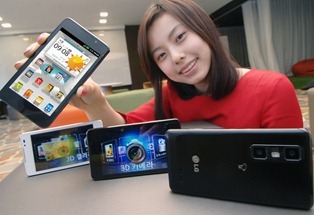 LG Optimus 3D Max is a powerful smartphone in both 2D and 3D mode and a pleasure to view with LG's exclusive brightened display. 3G's network speed has been also improved to HSPA+ 21Mbps. LG Tag+ offers advanced NFC (Near Field Communication) capabilities designed to promote greater user convenience. One of its benefits is automatic setting changes which are possible by creating predefined tags that are customized to certain modes such as car-mode, office-mode or sleep-mode. Depending on location, the predefined tags will automatically adjust various phone settings including Wi-Fi, bluetooth, GPS and sound volume. - Out-focusing Shot to enhance camera quality beyond that of other smartphones through image processing using depth information. Users can convert Google Earth, Google Maps and other road views into 3D using the enhanced 3D Converter. Furthermore, 3D photos and videos captured by the Optimus 3D Max can also be viewed in a single-screen mode in 2D, using the 3D Hot Key mounted on the side of the phone to easily toggle between 2D and 3D. 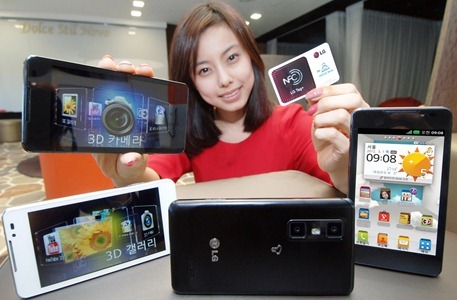 LG also plans to continue expanding video contents, applications and games optimized for the 3D Converter available from the 3D Zone at LG SmartWorld. The LG Optimus 3D Max's premium design comes from LG's commitment to fine details. LG focused on trimming details on the design of the Optimus 3D Max by keeping only the essentials and eliminating everything else. Measuring only 9.6 mm thin and weighing 148 grams, the lean body with metallic and rounded edges incorporates the best 3D features in addition to desirable 2D features. The Optimus 3D Max includes unique 3D-style cubicle icons which users can customize with their own photos through the Icon Customizer. The Optimus 3D Max will first launch in Korea in March and will gradually roll out in other markets starting in Europe. The device will receive an upgrade to Android 4.0 Ice Cream Sandwich from Android 2.3 Gingerbread shortly after the launch.